My dearest readers! 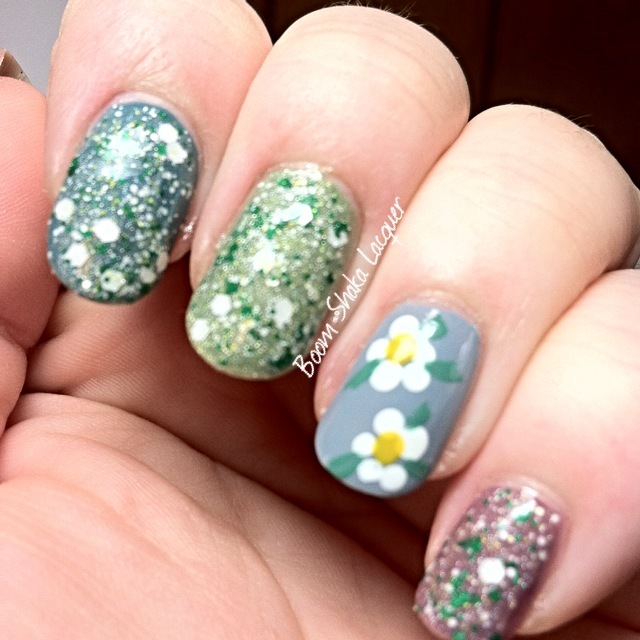 I’m so delighted to be able to share these two polishes with you! 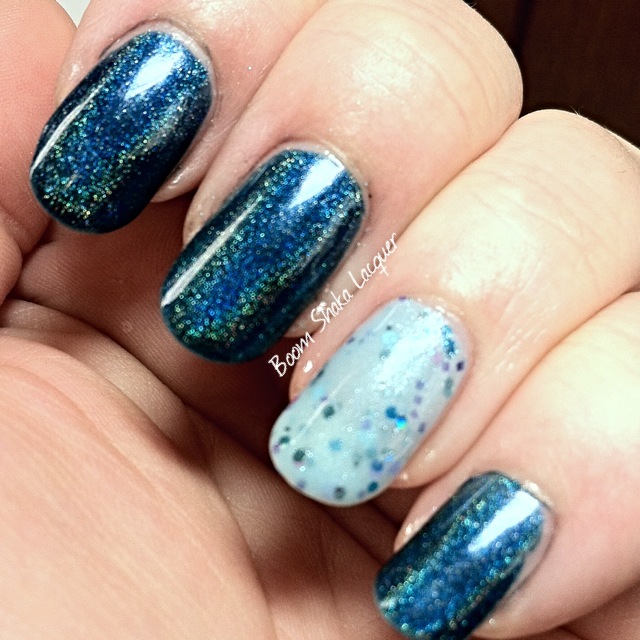 One is a super versatile holographic flakie topper and the other is a beautiful linear holo! I bet you would just like me to get right onto the review…but are you sure you don’t want to chat a bit about the weather or work or…ok ok ok! Polish it is! For this swatch I paired Aguja St. Exupery with LynBDesigns – Happy Wallabies (a pale pink with white flakies. Happy Wallabies did stain my nails bright red so if you have this polish and haven’t used it yet please be aware. It is discontinued). Aguja St. Exupery gives not only that linear holo effect that is so well loved in the indie polish community but also is packed with a golden shimmer and taupe flakies. 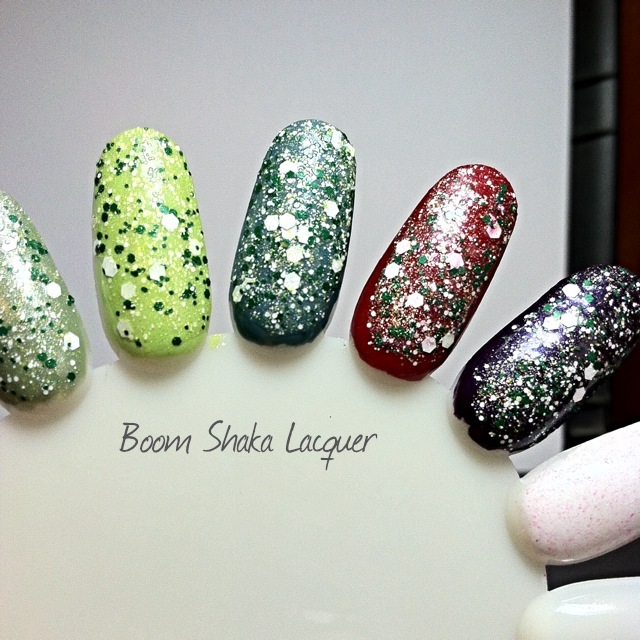 In this picture you can see the flakies and shimmer but not as much of the holo. Trust me though it may be shy on camera you get this topper out into the sunlight and it is as effervescent and outgoing as you could want! Picture shows ONE coat over undies. I was playing around with my swatch wheel and some blues and an off-white with this topper and look at how nifty it looks on other colors! 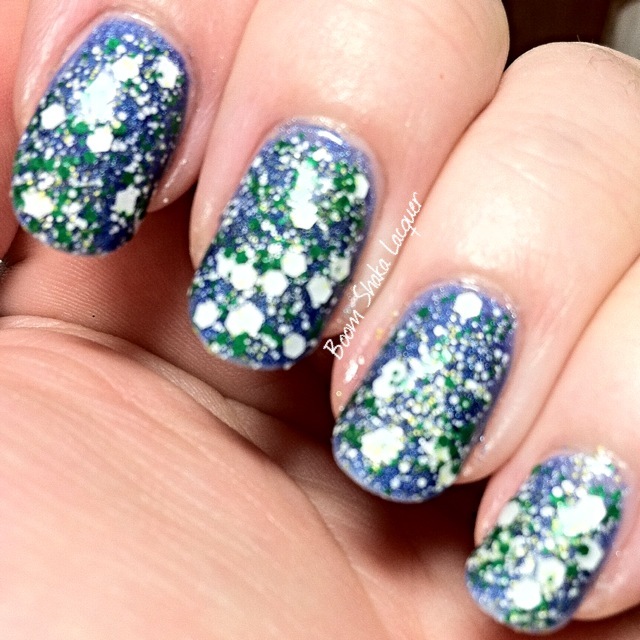 I don’t remember which polishes I used here, I believe it’s a Wet n’ Wild and the blues are Julep polishes. Oh.Em.Gee. I am so in love with this polish and I’m not even a huge holo fan (*gasp* I know, but I’m such a sucker for the glitter!) 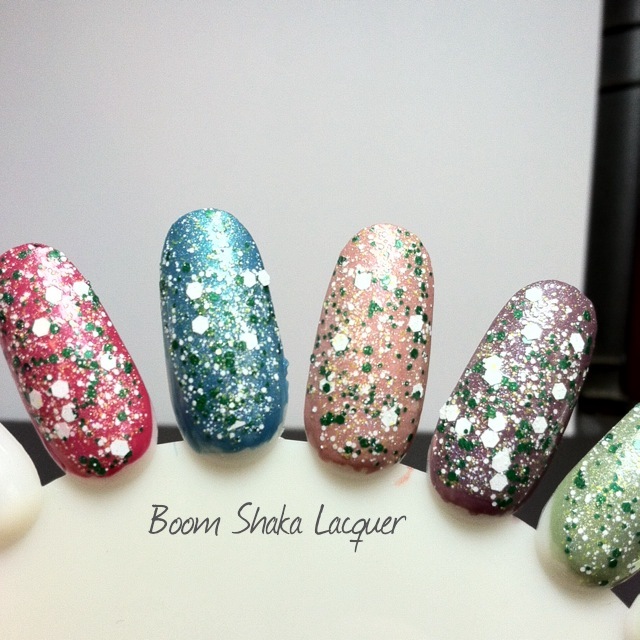 This polish is just AH-mazing! 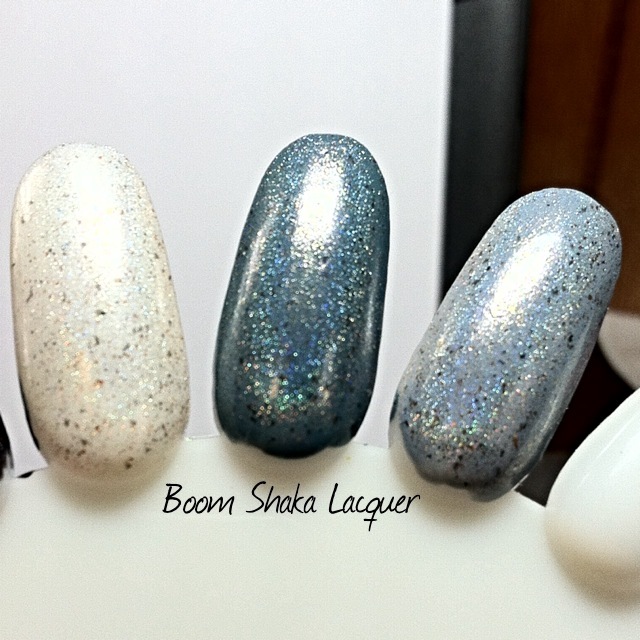 (The accent nail is a prototype of an upcoming polish, it has been tweaked for final release so it will look slightly different from this picture, I will have pics of the final polish as well). Just look at that beautiful holo!! This pic shows two coats to full opacity. The formula is really nice and didn’t give me any troubles at all. It’s highly pigmented without being crazy thick or hard to work with! 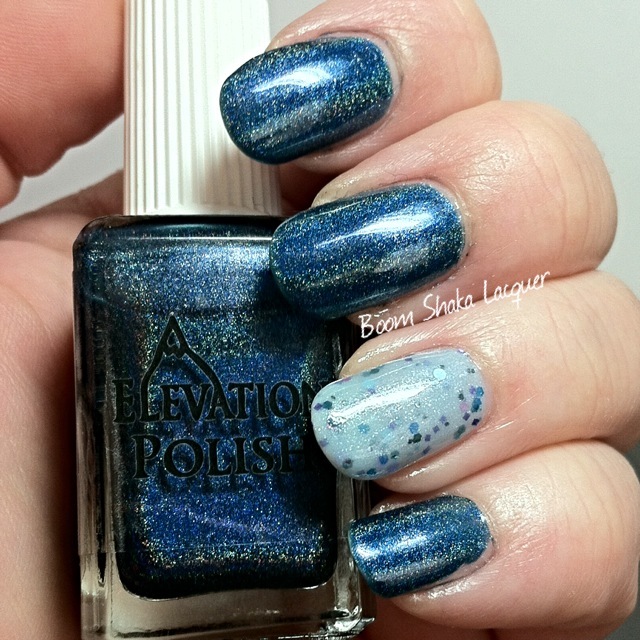 These two polishes were some of my first from Elevation. I have been so impressed with the formulas and the colors thus far. I think I’m a convert and I have already started stacking up my collection with a few discontinued ones. Trust me though as I get more that are still available I’ll be sharing them with you! Elevation restocks twice per month (the 7th and 22nd) and you can find out all about it at their website as well as keep up to date on all the news! My Ten Friends! Lemming Acquired! My dearest readers – I apologize for my absence. We had a charity event this weekend, plus work is just crazy busy right now but I did not forget you! In the upcoming weeks I have some pretty major assignments but I’m hoping to still keep you supplied with pretty pictures and nail art! So I don’t think its any secret. I love me some My Ten Friends. I have serious fangirl issues for this brand and since I saw it last year I have been actively trying (and failing) to get my hot little hands on a bottle of Starry Night. It’s based on the Van Gogh painting, the one that I have loved since I was teenager! 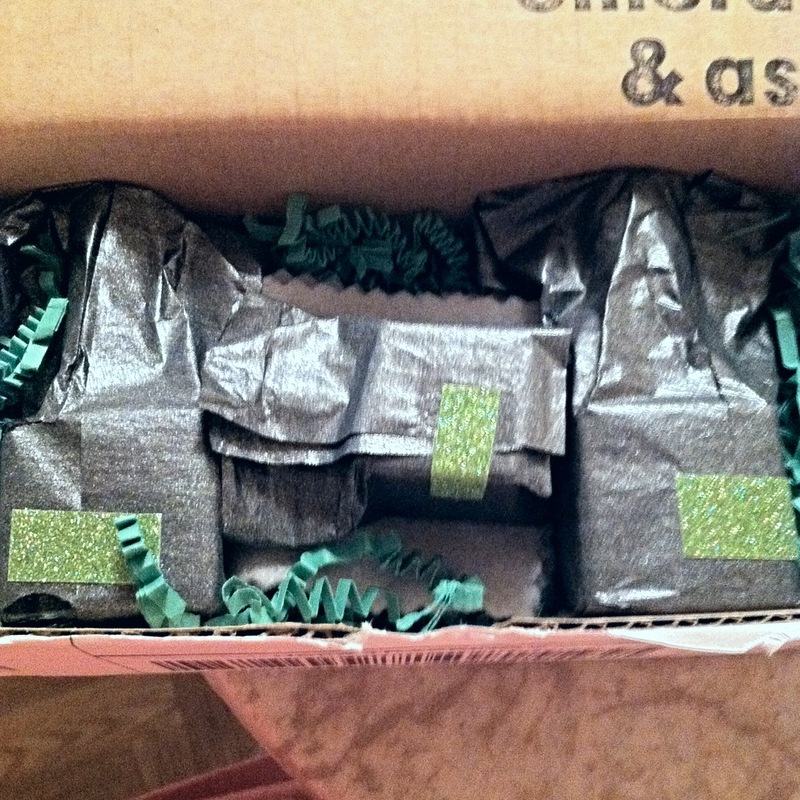 I even bought my dadda a Starry Night tie for Father’s Day one year…seriously I *needed* this polish. 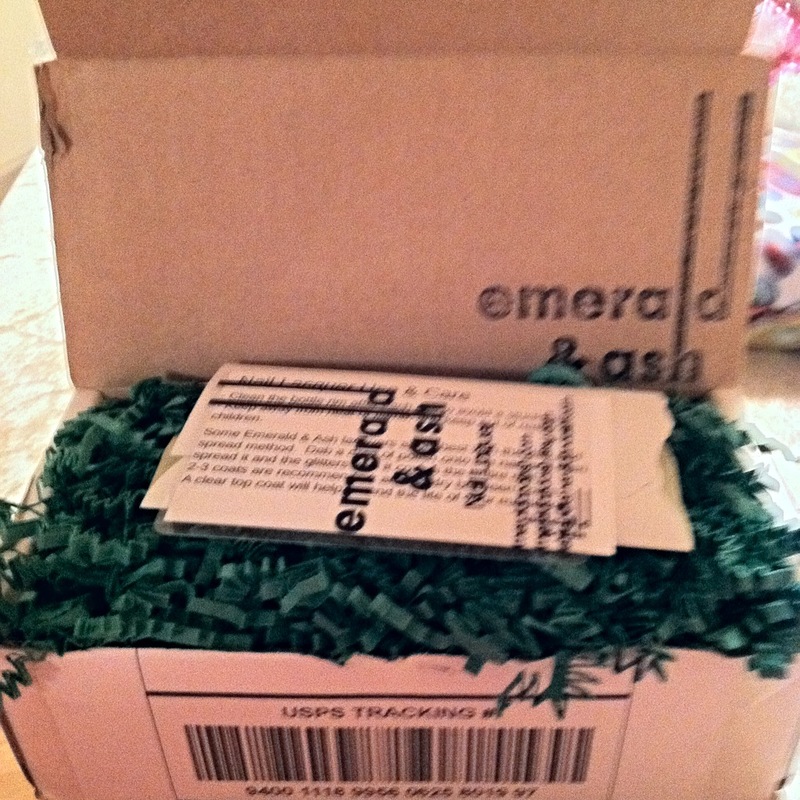 Then…I got so lucky…I hit a restock and managed to get it! So let me show you the awesomeness that is Starry Night! Look at that!!! Does it not look like that is the painting come to life on my nails??!! 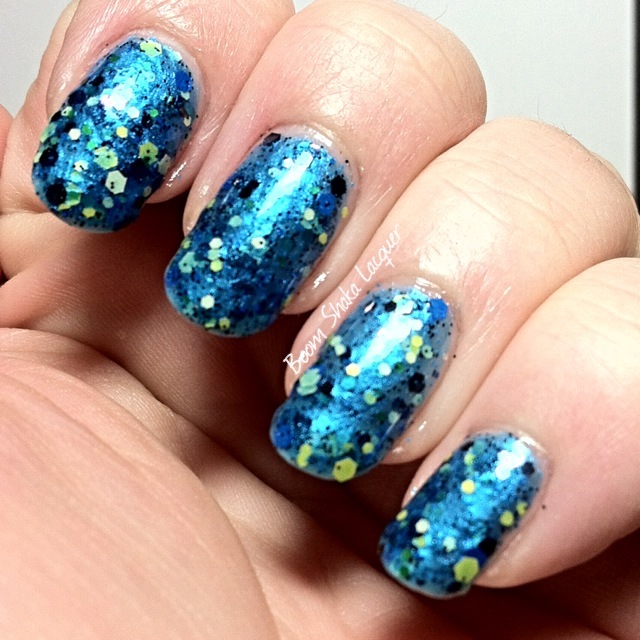 The lovely blue shimmery base is packed with black and yellow and blue glitters of varying shapes and sizes. As I suspected this polish is amazing in every sense of the word! It’s lovely on the nail and is a breeze to apply. 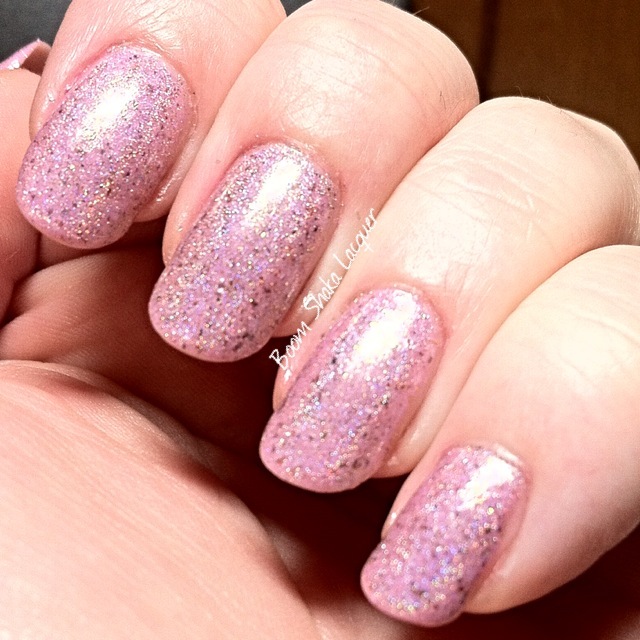 I didn’t have any problem with the glitter at all, it was easy to get out of the bottle and spread nicely on the nail. It is a touch sheer but it is easily buildable. The glitter is a little chunky so it does need a glitter smoothing top coat. This picture shows three thin coats plus topcoats. So as per usual I will provide you all the details that you need to stalk your own My Ten Friends prey! 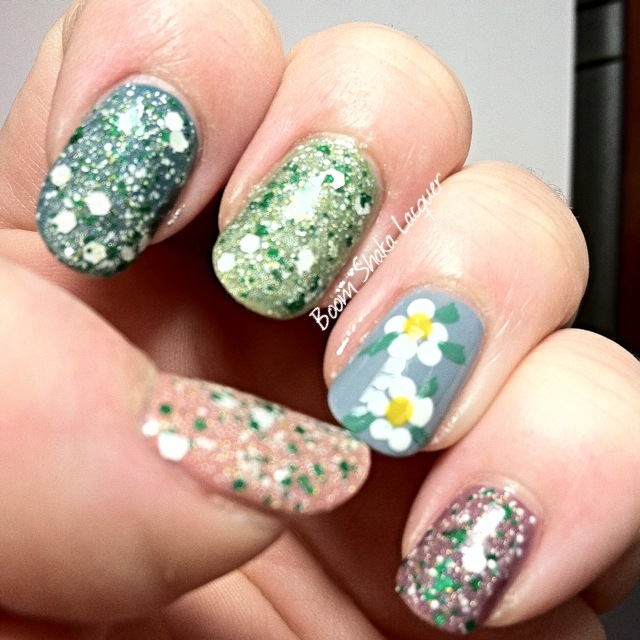 So many gorgeous polishes…and ooooo I saw on her facebook JUST TODAY that there is an upcoming SPRING RELEASE. Sorry for yelling I got a little excited. I’m ready and waiting for it. Trust me my lovelies I will be there with bells on! So check out her Facebook to get all the news and you can buy your own My Ten Friends polishes on their snazzy website! This entry was posted on March 18, 2014, in Indie Polish, My Ten Friends. New to Me Brand! Love, Angeline! Hello my devoted readers! I’m feeling full of shenanigans today but I will try to control myself! 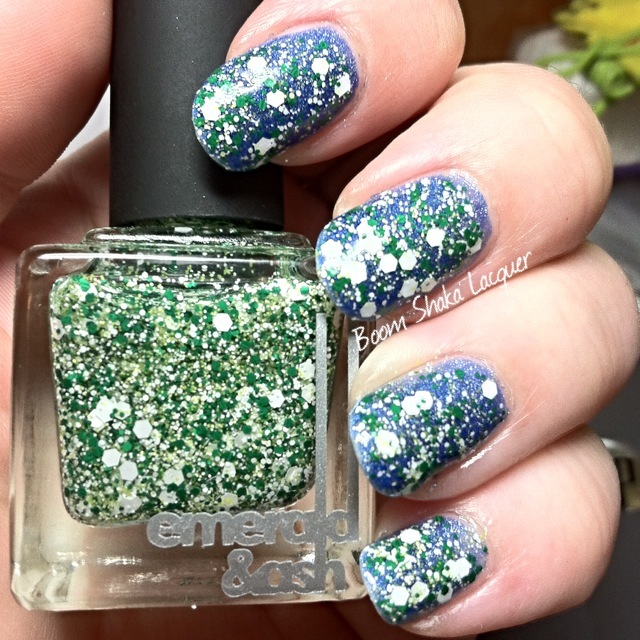 I am SO excited to be sharing this polish with you that I didn’t even wait to try the new vinyl nail shields and decals that I got with my order before posting this. So, Natosha, I’m sorry I haven’t even tried them yet but trust me I will!!! So I decided that the first Love, Angeline polish that I would need to have is Ta-Da! First, I adore the name, I always feel like entering the room with a dramatic “Ta-da!” however I refrain…most of the time. What?…sometimes I can’t contain the awesome no matter how hard I try! Formula was honestly really good for me. The pictures show three thin coats. 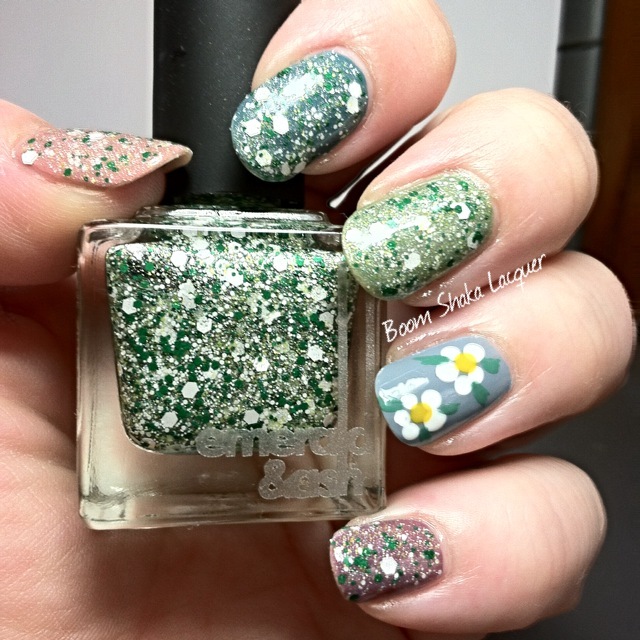 I did not have to upend the bottle or fish for glitters and they spread out pretty nicely – occasionally the glitters wanted to all hang out together but I just nudged them along with the brush and all was well! 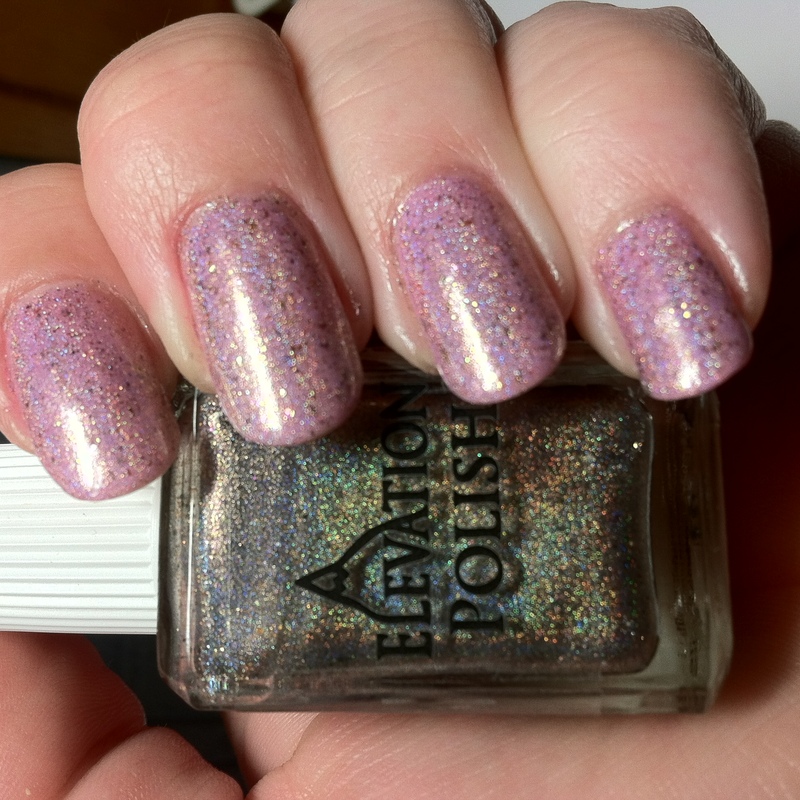 This one does dry bumpy because of all the beautiful glitter and needs a smoothing topcoat before a high shine top coat. 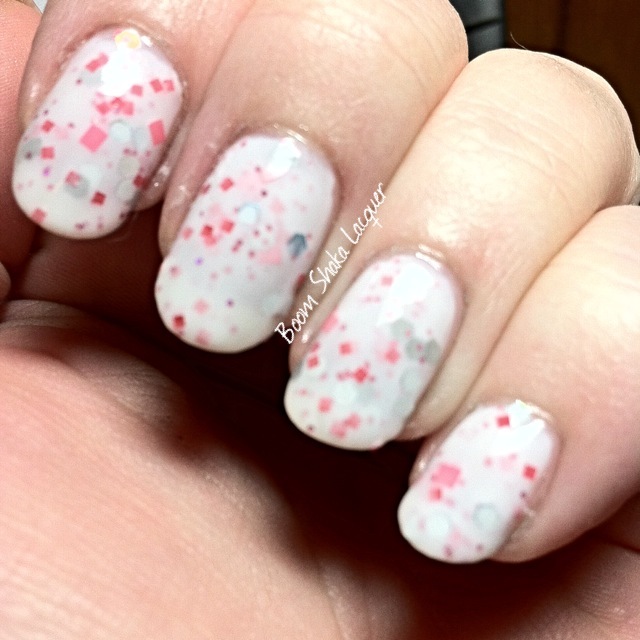 So you can totally go and get your own pretty polish from Love, Angeline (Also Unicorn Decals? WHAT? You know I had to order those!!) she sells all her polishes and vinyl goodies in her Shop. You can also follow her on Facebook and Instagram to keep up on all the news! Reader! Before you go! Don’t forget that the Super Special Limited Edition Charity polish Carolyn Beth by Gothic Gala Lacquers is only available until March 23rd! You don’t want to miss a chance to grab that beauty, plus it’s for a great cause! Also don’t forget to enter the AH-Mazing Multi-blogger giveaway HERE to try your hand at winning some fantabulous polish prizes!